FFA - CAIR demands that Truth Hardware allow for special Muslim prayer times in the workplace. It is Sharia vs the American free market. CAIR is representing a group of Muslim employees who want Truth Hardware to provide for mass Muslim worship in the workplace. This would result in making Islamic Salah times for Muslim prayer a priority over a company’s efficiency, profitability and fairness to other employees. Nearly two dozen Muslim Somali-Americans are filing discrimination charges with the U.S. Equal Employment Opportunity against hardware maker AmesburyTruth and Doherty Staffing Solutions. The fired workers said they were denied a place to pray at an Owatonna, Minn., manufacturing plant and lost their jobs for trying to practice their religion. The Minnesota chapter of the Council on American-Islamic Relations is leading the effort on behalf of 21 former workers who were terminated in May and June 2015. The employees were told that if they could not comply with the plant's break schedule or could not wait until their shifts were over to pray, they could not continue working, according to the council, which goes by the acronym CAIR-MN and is a member of the nation's largest Islamic civil liberties advocacy group. A number of workers were told to go home and wait for the company to make accommodations but were never called back to work, according to CAIR-MN. Some employees were fired for "violating the bathroom policy" by spilling water on the floor. Followers of Islam pray five times each day — at daybreak, midday, afternoon, sunset and at night. Before prayer, Muslims are required to wash their faces, hands and feet with clean water, which normally is performed in a restroom sink. 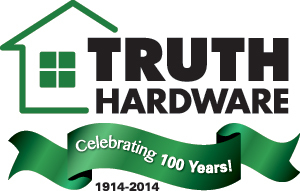 AmesburyTruth is headquartered in Edina and makes hardware for doors and windows, weatherstrips and extrusions. The company has about 2,000 employees at 11 locations around the country. CAIR-MN announced on April 28, 2016 that they are filing a discrimination complaint with the EEOC on behalf of the twenty one Muslim employees. CAIR represents the interests of Muslims who are pushing Corporate America to provide for special Muslim worship of Islam in the workplace. The Muslim employees essentially want Truth Hardware to make Islamic Salah times for Muslim prayer a priority over the company’s efficiency, profitability and fairness to other employees. Please encourage Truth Hardware officials to stand their ground by not allowing Sharia law to change their corporate policy. Florida Family Association has prepared an email for you to send to encourage Truth Hardware officials to stand by their decision and not surrender to demands for special times for Muslim prayer in the workplace.